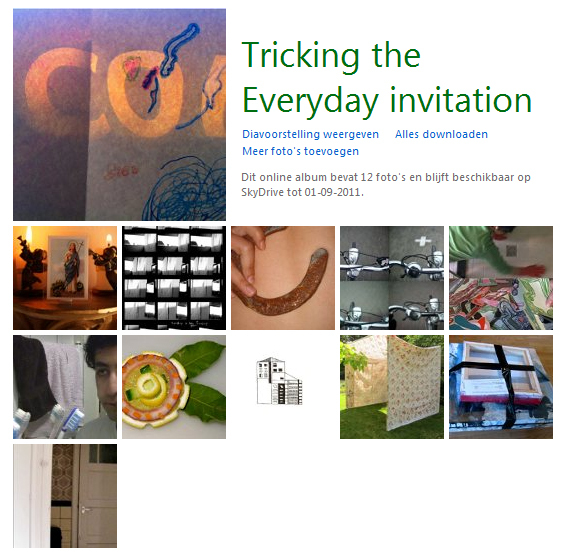 Tricking the Everyday is the title for our show in June. I’m showing my video diary tryout and the plus-or-minus video. The catalogue for the show will be made by co-curator Laura Pardo, and she was moved to ask for a portrait-size picture. Which wasn’t easy as I have done landscape only. Hit on the idea to use stills from both video’s and make a compilation – am quite pleased with the result. Took me forever to get it right, though, inbetween being on the phone and writing mails for the Internet projects I am presently masterminding for Colours, a Den Bosch based firm I work for on a regular basis. I started keeping a video diary in January 2011. 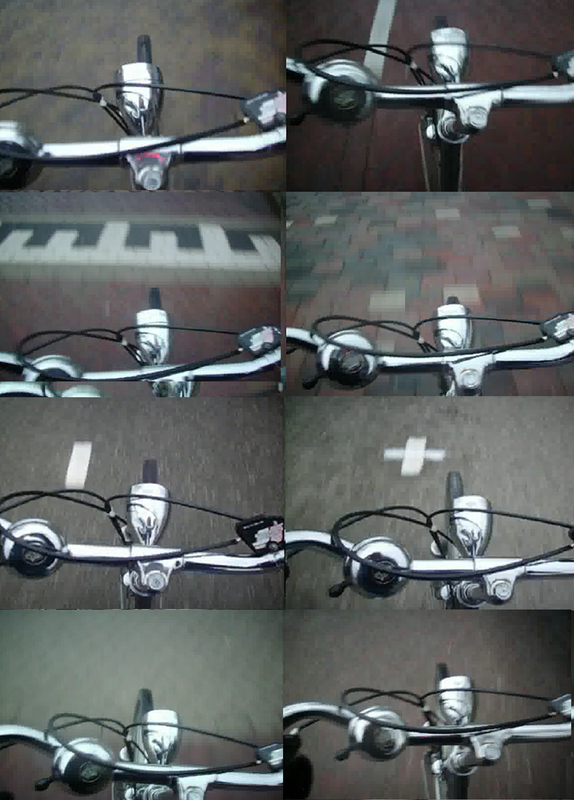 The first results I published on my weblog; it is footage that I took when on my bike getting our little Emma from school. Looking at it later I became fascinated by all the markings n the road that direct traffic and make sure everyone – cars, cyclists, pedestrians – gets it right. We are so used to these signs that we don’t really see them anymore, even though they direct our steps or rides. This inspired me to do a small intervention, playing with the traffic signs a little. Using chalk I changed the ‘minus signs’ on a cyclists path to ‘plus signs’, creating positive energy for the cyclists. 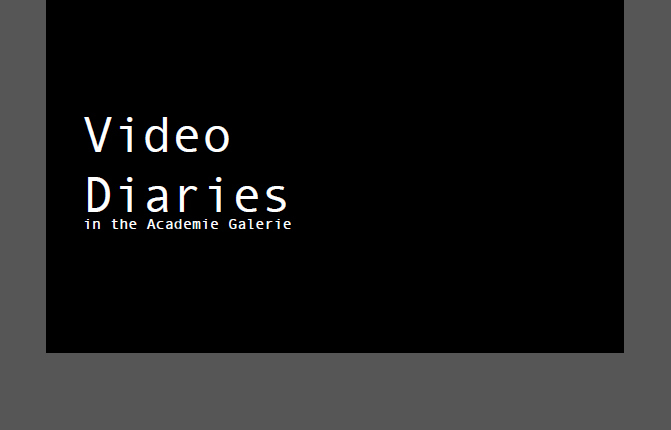 I videoed the ‘before’ and ‘after ‘ situation and published the result – titled ‘plus or minus video’ – on my weblog again. 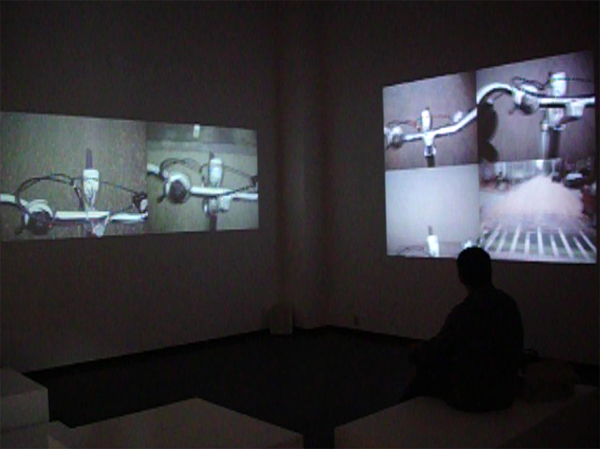 Now, ‘plus or minus’ is shown as part of the Tricking the Everyday show at Academiegalerie.